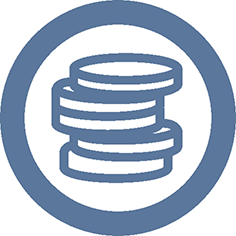 Lean & Flexible solution for small reparations. 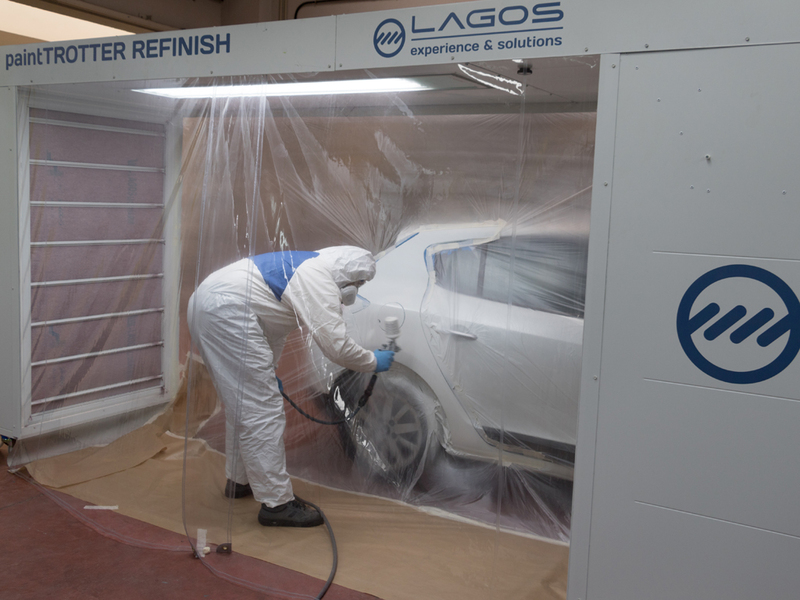 80% of the automotive body repairs are small areas of damage in the lower part of the vehicle,including the front and rear areas of the vehicle. 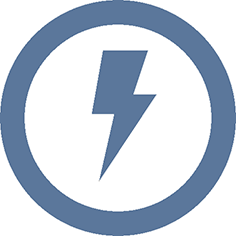 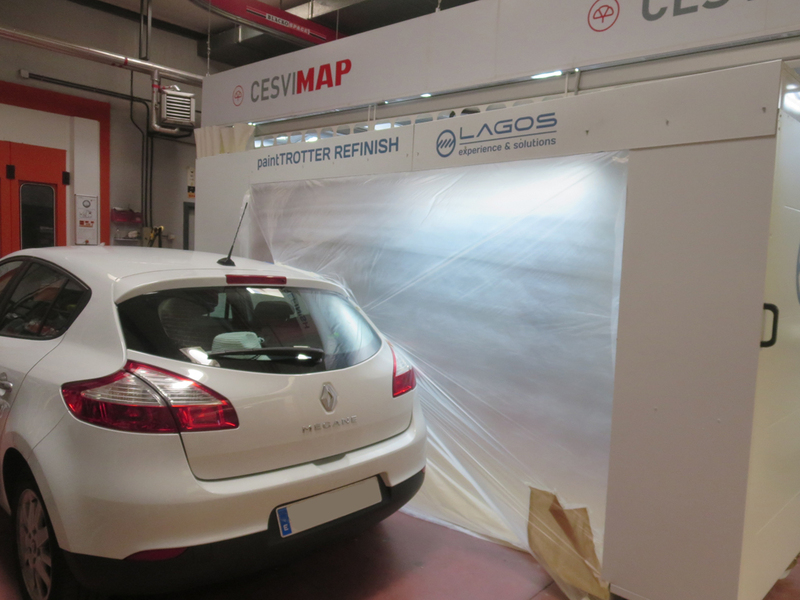 Usually these small repairs are managed along with the larger ones, which creates issues with logistics, repair times, workshop space distribution and energy consumption. 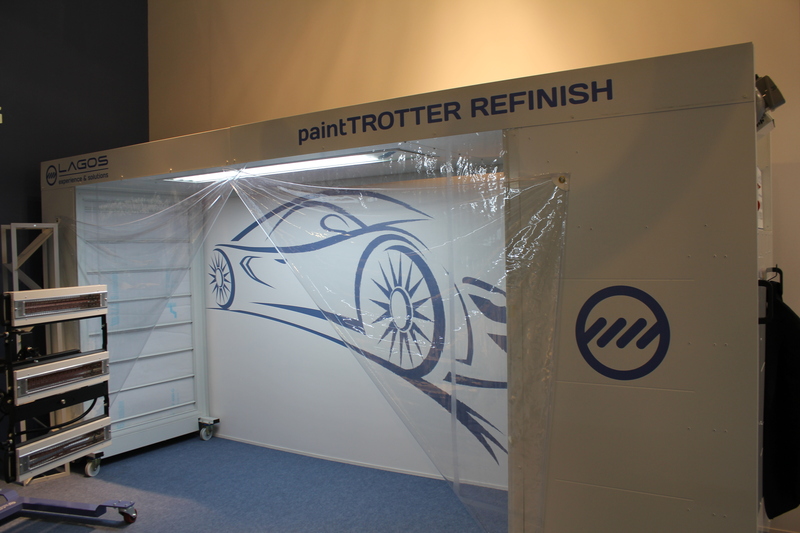 With paintTROTTER we have created a flexible working area for more repairs to be done at the same time. 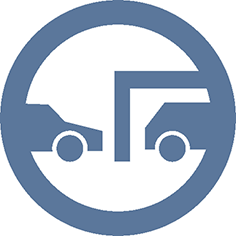 No more vehicle movements in order to perform work in a specific area. 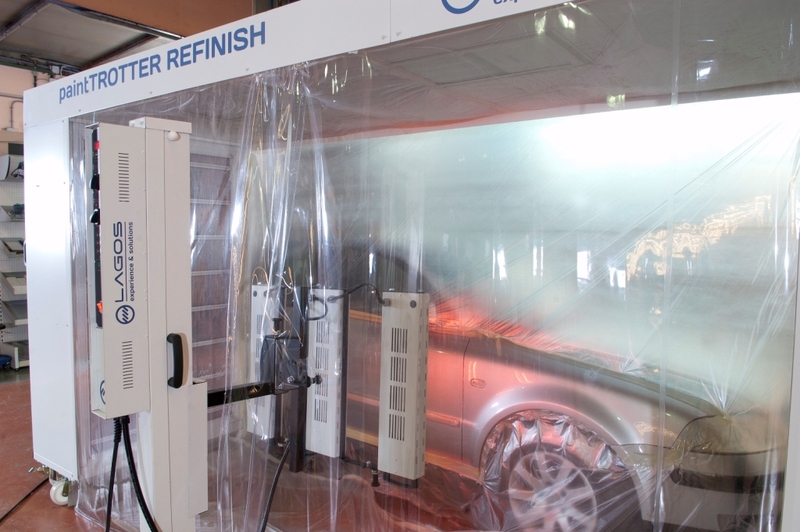 The use of a conventional spray-booth can greatly increase repair times because the paint curing cycle for a small local repair is the same as a larger more complex repair. 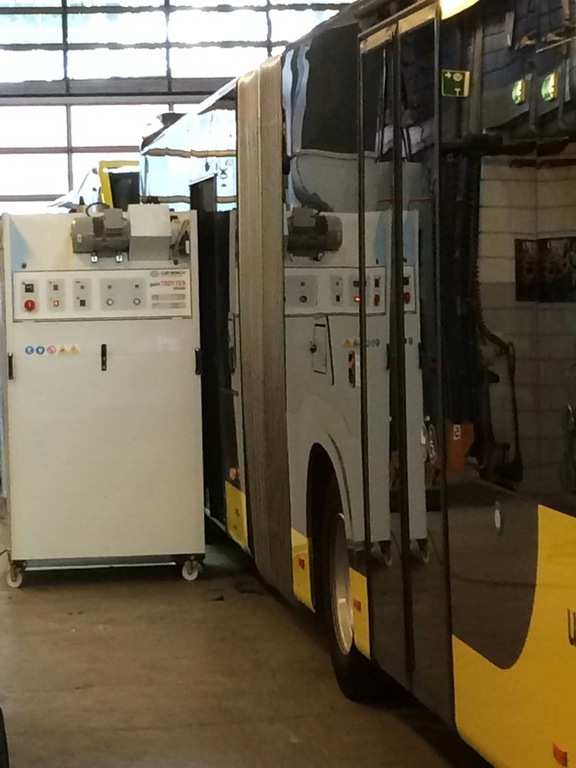 In addition, the movements of the vehicle are practically the same. 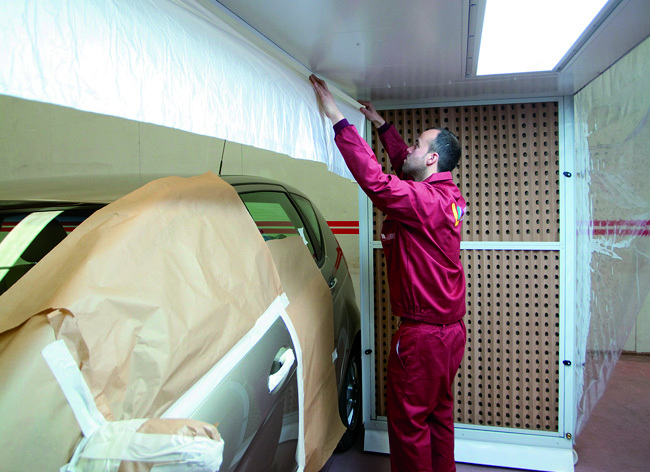 paintTROTTER helps us to maximize preparation, painting and drying times for small repairs. 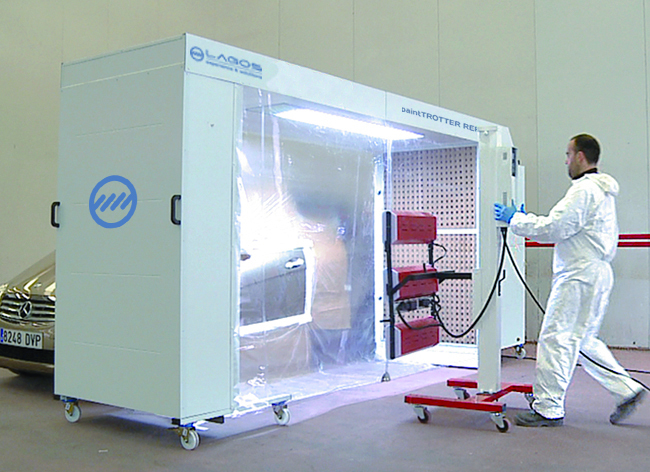 The easy use and mobility of the paintTROTTER in the body shop environment helps to optimize repair times and ultimately see productivity and profits increase. 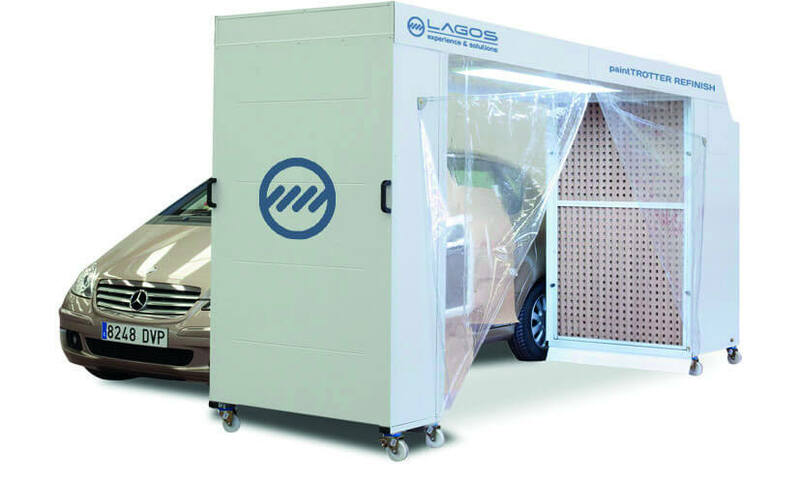 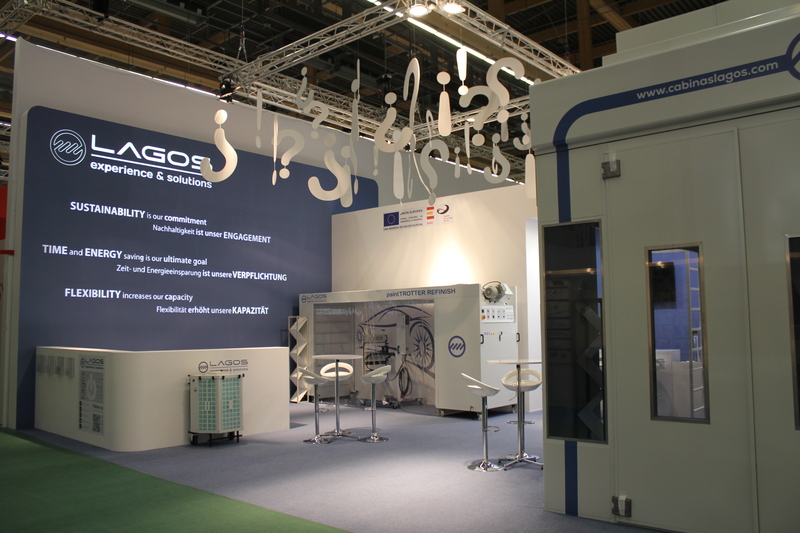 A spray-booth uses practically the same energy to paint and cure a small repair as it does to paint and cure a large repair; taking the total energy cost into account, this process can be very inefficient and is also a major waste of valuable resources. 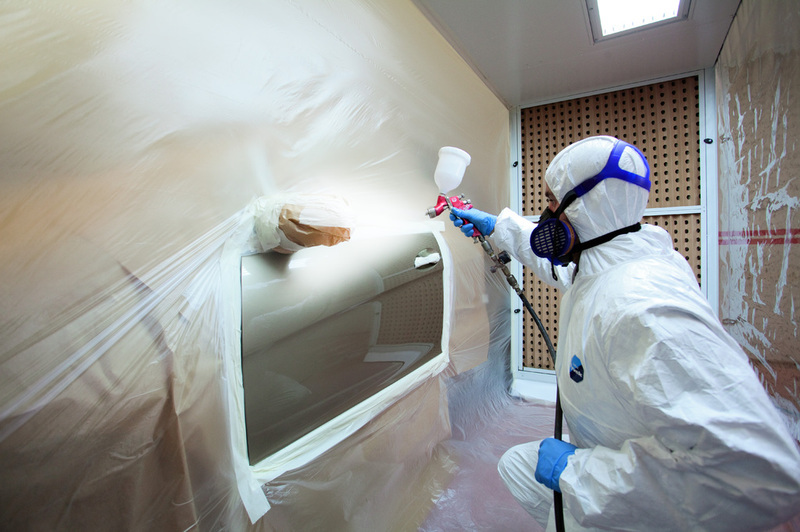 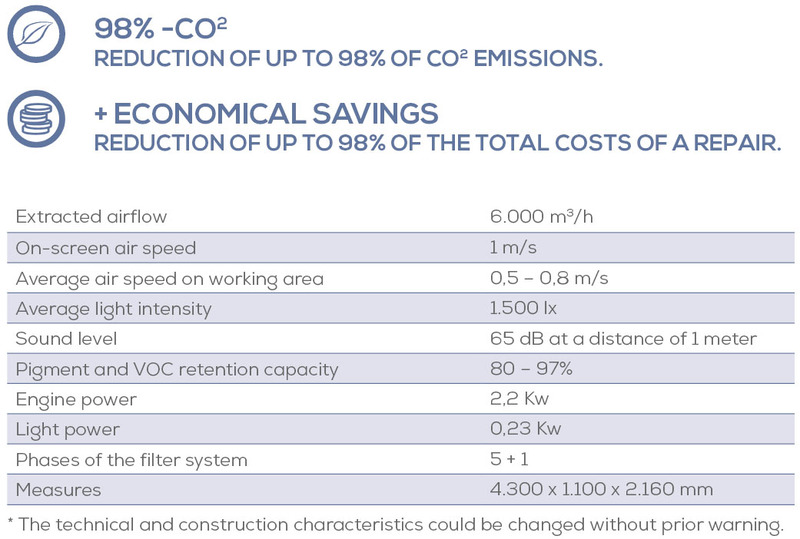 High energy costs are reduced, and thanks to its low energy consumption paintTROTTER is the best piece of equipment to reduce small damage repair costs. Logistic problems, long repair times and excessive energy wastage can result in a costly repair, which ultimately means LOW PROFITABILITY. 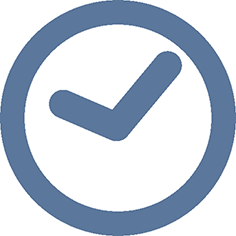 Get more profitability in your small area repairs. 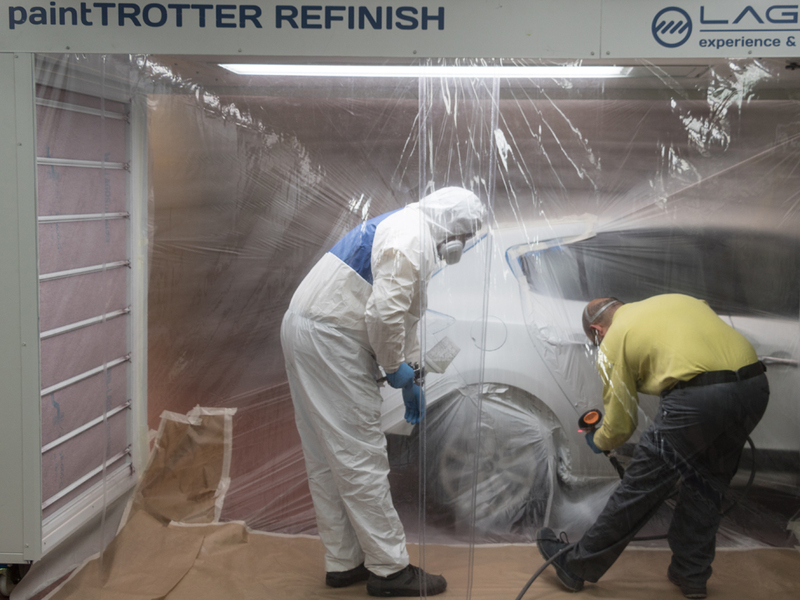 Low maintenance and low operation costs make paintTROTTER the best solution to include in the body shop small repair process. 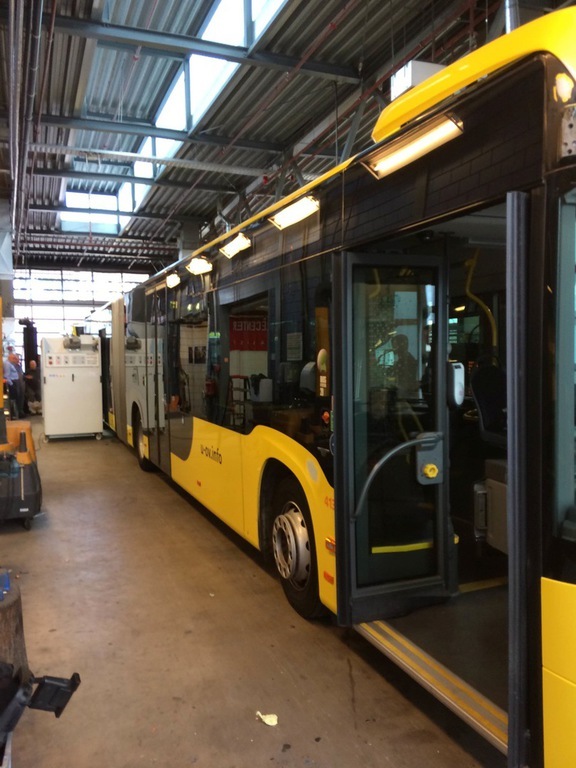 Mobility and Lean technology at it's bests. 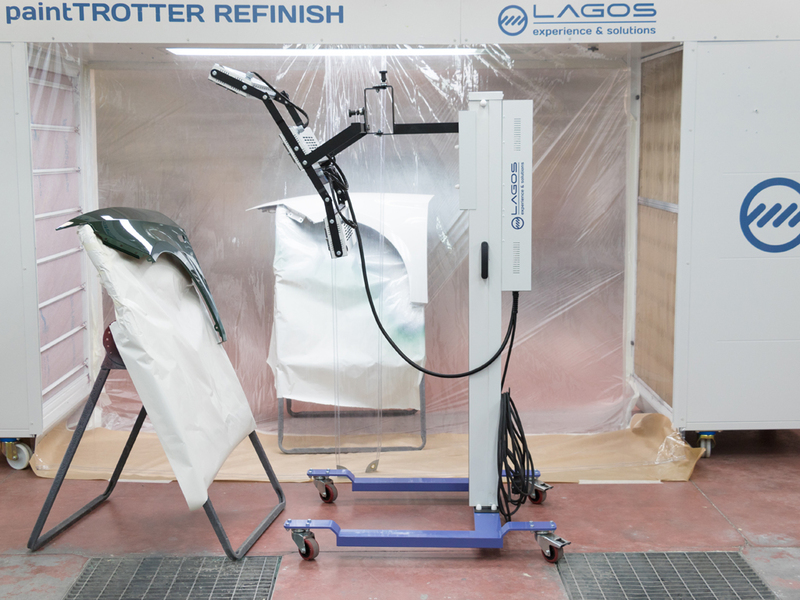 Request original spare parts for your paintTROTTER through this online form. 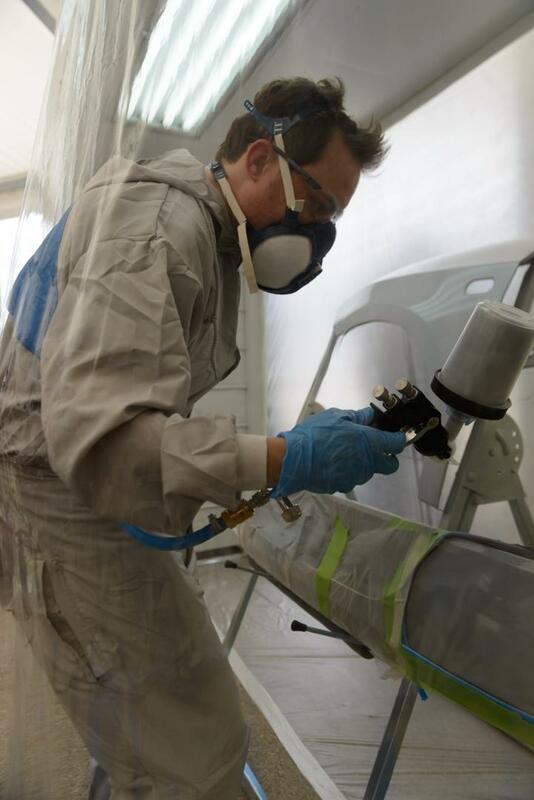 The next step consists on attaching the protection film and applying the masking tape, by cutting the film to shape so the technician can work on the area to be painted. 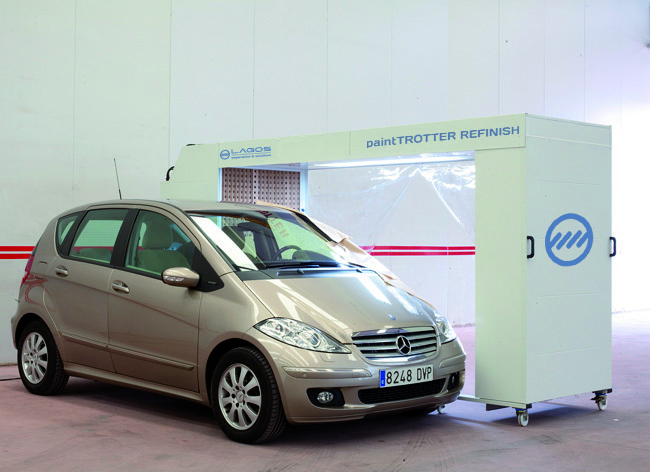 With this easy operation the paintTrotter is completely sealed and ready to start the repair process. 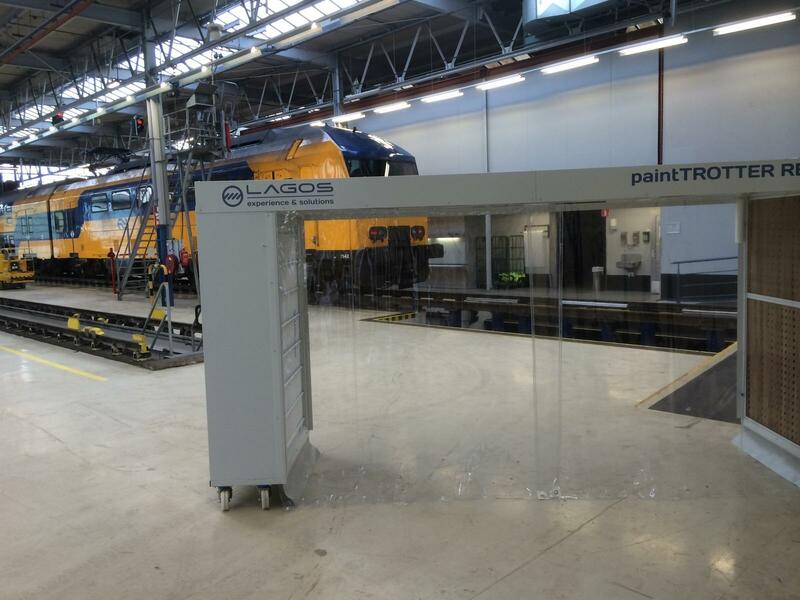 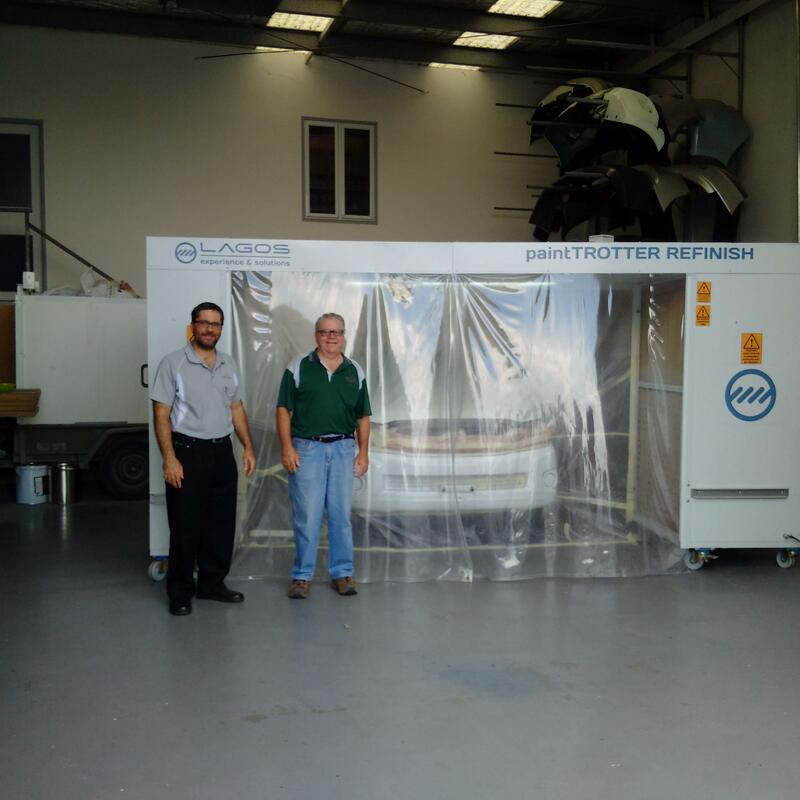 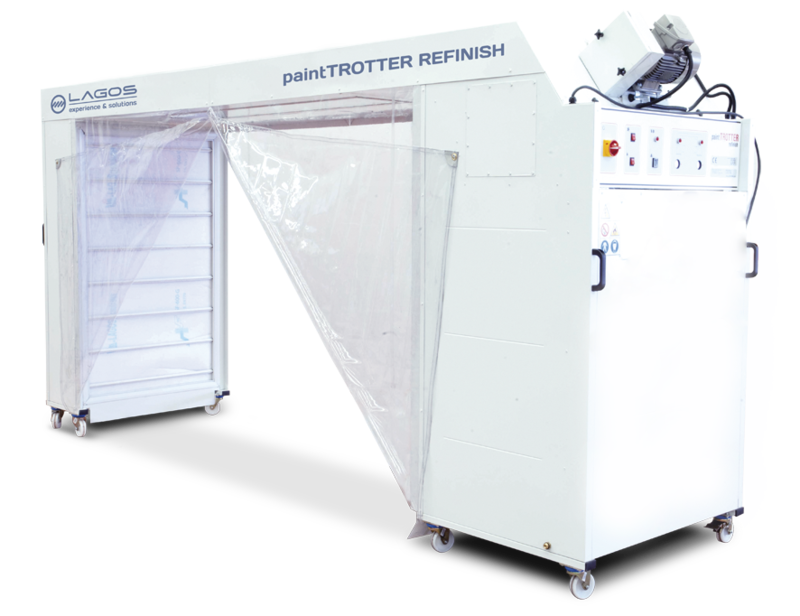 paintTROTTER becomes a closed booth system, where you can work in a space that is clean of dust and dirt thanks to its efficient air recycling system. 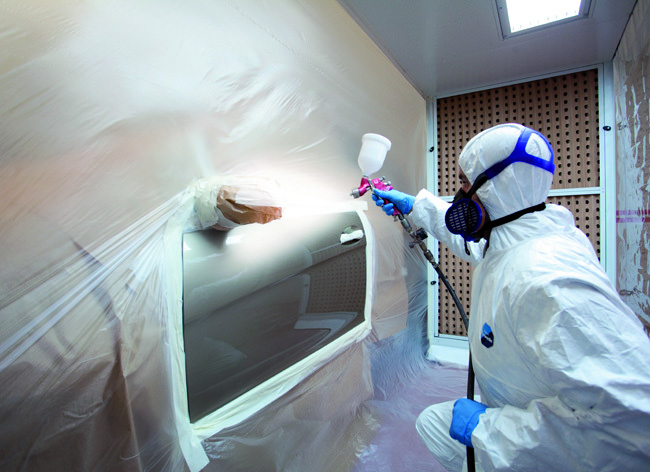 At the same time, paint overspray and dust do not get into other areas of the body shop, they are retained within the enclosed area of the paintTrotter. 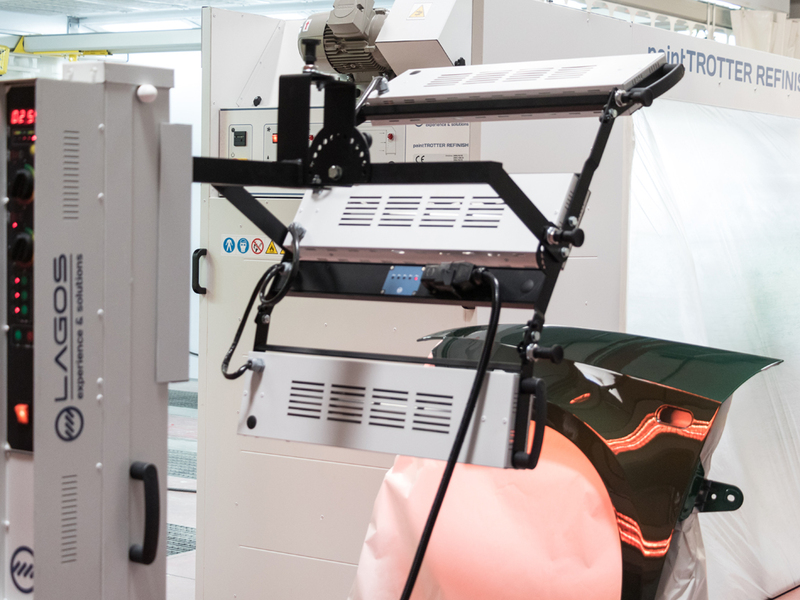 The paintTROTTER can also incorporate short wave infrared equipment so reducing drying times.This system can reduce process times by a third in comparison to the time needed in a traditional spray booth.